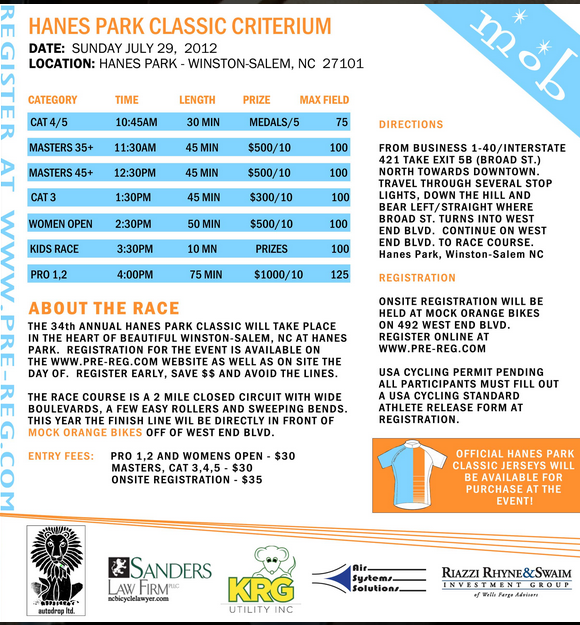 Sanders Law Firm, PLLC is proud to be one of the main sponsors of the Hanes Park Classic 2012. We were a sponsor for the 2011 race too. Mock Orange Bike puts on the Criterium race in Winston-Salem.